There is a reason that the Weber Kettle is the world's most popular charcoal grill. It is simple to use, amazingly versatile, and very dependable. Because it sits on the back patio of so many homes hundreds of people have invented accessories to make it better, turning it into a pizza oven, a smoker, or simply a better grill. These accessories offer versatility and make this simple charcoal grill into the ultimate backyard piece of cooking equipment. Most of these accessories are for the 22-inch version of the Weber Kettle including the Performer line. If you have an 18-inch kettle, check for compatibility before purchasing. Many of these items will fit 22-Inch round grills from other manufacturers. The rotisserie is one of the best accessories for any grill. Rotisserie cooking means even cooking. Foods are self-basted, making them juicier, more tender, and more flavorful. All this can be made so much better by putting that rotisserie over a charcoal fire. The smoky flavor adds an extra layer to foods and given the temperature control of a Weber Kettle, it can literal smoke poultry or a roast on the rotisserie for even, perfect barbecue. You have a lot of options when it comes to cooking grate upgrades for a kettle grill. These cast iron grates are among my favorite. They have the mass to absorb heat and transfer it to food for better grill marks and searing. You can swap out one to three of the sections with griddle sections so you can even grill your eggs (and a lot more). With a solid construction these cast iron grates can last for generations if properly cared for. These are bare cast iron so they will rust if not seasoned and maintained. When these adonized aluminum cooking grates were first introduced they revolutionized grilling. The design amplifies heat, creates infrared cooking and produces amazing searing and grill marks. These cooking grates have become the not so secret weapon of competition steak cooks around the world and this set is specifically cut to fit a 22-Inch round grill. These are definitely a grate upgrade worth considering. 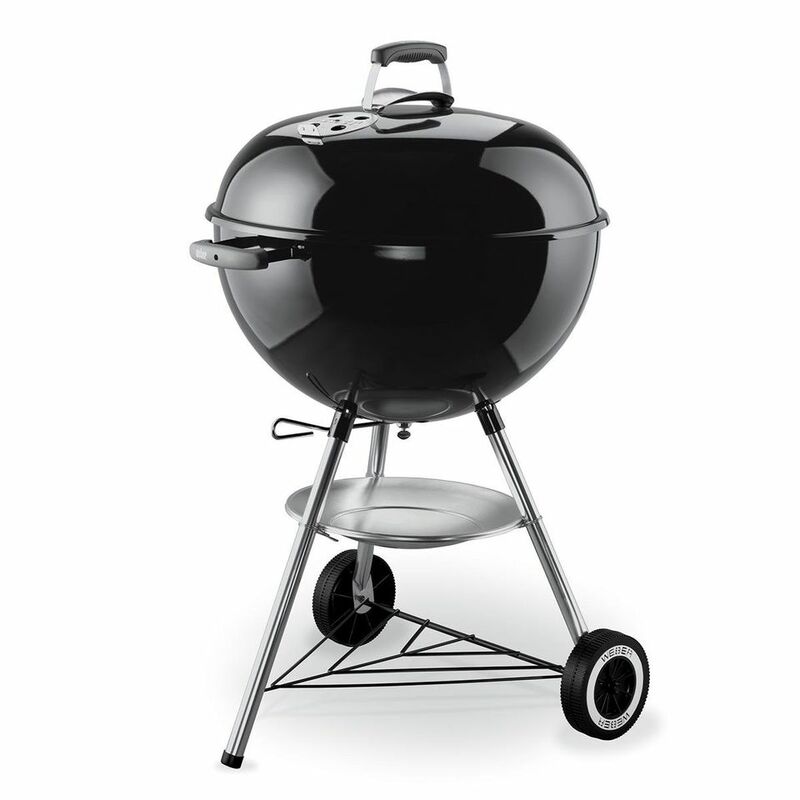 Weber Introduced their Gourmet Barbecue System to increase the versatility of their grills. To start with, you need the new wire cooking grate with the removable center section. This section can then be replaced with a wide range of accessories including a porcelain coated Sear Grate, a Cast Iron Griddle, a Wok, a Pizza Stone, and several other items. This is the ultimate versatility package and another option of a cooking grate upgrade. This accessory is another way to turn a standard kettle grill (22 inches or larger) into a smoker. Charcoal sits on one side creating a controlled indirect grilling space. There is a water reservoir in between to add moisture and control temperatures. With the vents dialed down to hold low temperatures, the grill becomes a smoker, while still providing direct grilling space, hence the slow and sear functionality. This is an award winning design that vastly enhances the versatility of your kettle grill. Grilled Salmon with Dill and Lemon. Sabrina S. Baksh/Regarding BBQ, Inc. Pair of sturdy holders for charcoal or wood chunks. These briquet baskets are made from sturdy aluminum steel and make indirect cooking both easy -- who doesn't want that -- and safe. These get to grill heat faster and saves time moving stacks of heated charcoal around. Your grill will withstand the weather better when you keep it covered and protected when it’s not in use. This cover is made from UV-resistant cloth that will keep the grill color from fading in the hot sun, and the sturdy cloth will protect the grill from rain and snow and wind. While the fabric is water-resistant, it is also breathable so moisture won’t get trapped inside. This cover is designed to fit 22-inch Weber kettle grills, but it will also fit similar-shaped grills as well as smaller Weber grills. It fits loosely, so it’s easy to put on, then Velcro straps tie the cover onto the grill so it won’t fly off in a windstorm. It’s just as easy to remove — just release the Velcro and lift it off when it’s time to grill again. Probably the worst thing about grilling on charcoal is getting the fire started. Everyone’s got a favorite method, possibly involving newspaper, paraffin, or kindling, but that’s not particularly reliable, especially when it’s a little windy. While starter fluid can make fire starting a little more reliable, it also can leave a nasty flavor behind. This fire starter solves all the lighting problems, and it works quickly, so you don’t have to wait as long to start cooking. Because of an innovative elbow that opens on the side of the chimney, this draws in more air and gets the fire going in just a few minutes with no starter fluid needed. The hole is also designed to hold the clip-on BBQ Dragon Fan (sold separately) for even faster, more consistent burning. The side hole lets you add newspapers or commercial fire starters to the chimney and also lets you light the coals without trying to lift the chimney to get underneath. 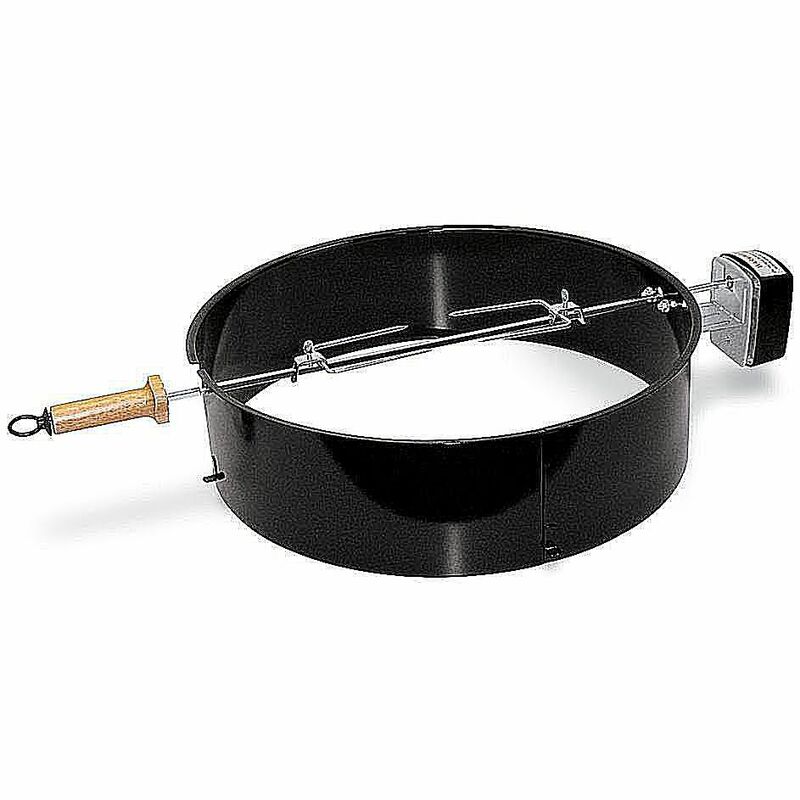 Made from heavy gauge galvanized steel, this is built to withstand the heat and last for many years, while the nylon handle stays cool so you can safely lift the chimney when the coals are ready.